Paris to Ancaster is proud to announce a new partnership with the Canadian National Cyclo-Cross team for the next five years, in an effort to better promote and support Cyclo-Cross in Canada. to national team athletes while at international competitions. 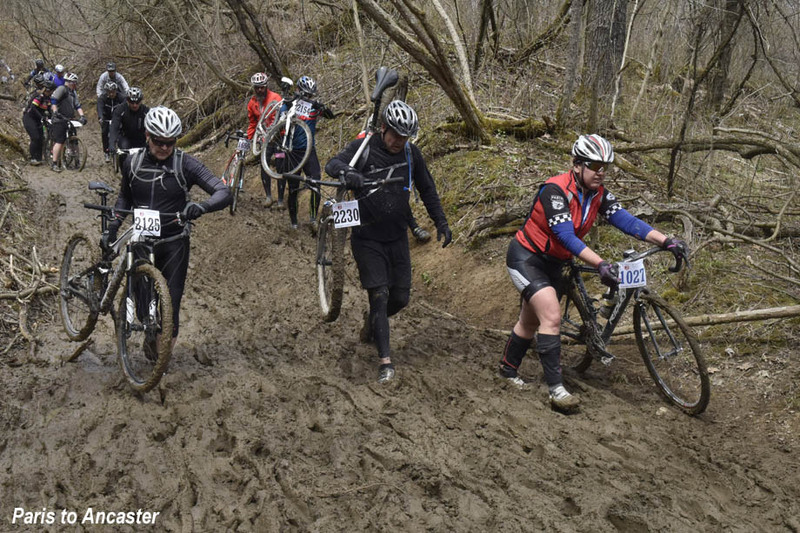 Paris to Ancaster (P2A) Race Director Tim Farrar says, “In a sense, P2A is simply doubling down on a year’s long commitment to provide what support we can. The National Cyclocross team athletes and staff can count on us for the next 5 seasons...at least”. In 1994 when the race was getting off the ground, it was sanctioned as a mountain bike race through Cycling Canada. Back then, there were virtually no rules defining the sport, so organizers quietly advised anyone who would listen that if a cross bike was in their arsenal, it was the best choice. In turn, the athletes and staff of the National team have often become P2A’s biggest supporters and unofficial ambassadors for the race, raising the international profile of the event. P2A and the CX National Team already have a ‘Win, Win’ partnership, says Tim Farrar. Cycling Canada officials hope that this increased level of partnership will allow them to better promote the Canadian spring classic abroad and will help continue to grow the level of support they offer National team athletes. Inspired by European bike races, most famously, Paris to Roubaix for its brutal cobblestone tracks, Paris to Ancaster has taken place for the past 25 years over rough farm lanes, trails and gravel roads of Southern Ontario. P2A has become a classic race experience for everyone from average riders to Canadian Olympians.